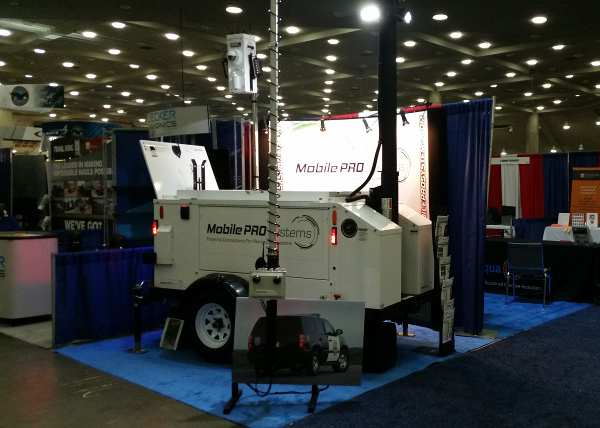 Mobile Pro Systems was pleased to demonstrate our mobile surveillance, power and communication platforms to America’s finest in Baltimore, Maryland, September 10 -12, 2016, at the National Guard Association of the United States (NGAUS) conference. When disasters or emergency situations develop, the Guard is often on the front lines securing areas and providing emergency aide and response to victims. Our leading edge mobile platforms of rapid response surveillance and communications systems allow command centers and field responders to monitor developing events with live video and use separate networks for voice when cell systems are often taxed. Thanks to everyone who welcomed us at the NGAUS conference and made our first show there a great success!